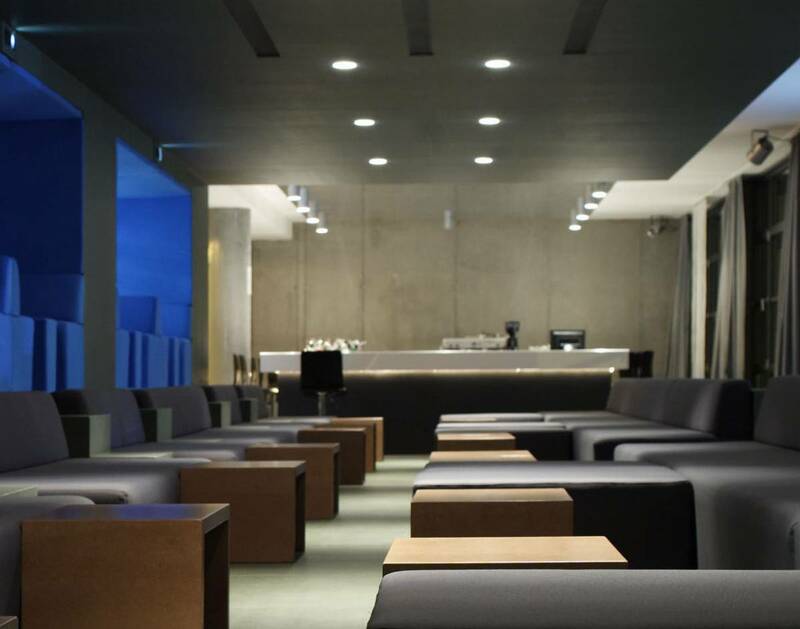 Located in the center of Berlin on the first floor the adidas original store, the sportswear brand featured a viewing lounge in Berlin during the soccer world cup 2006. Designed by Laura V Rave a tribune-shaped installation used for viewing and lounging creates an entity within the big space and defines all adjacent areas by its position and orientation. A rectangular bar covered by a diffusely mirrored ceiling, a white in white kicker room and a second lounge with dance floor further broaden the space’s program.